I have worked out the ideal solution for the Greek economic crisis a long time ago. But unfortunately, I haven’t had a chance so far to share my wisdom with the decision-makers of the troika. Maybe now that they are all relieved after closing a 10-year-long saga after a marathon Eurogroup meeting at Thursday night. 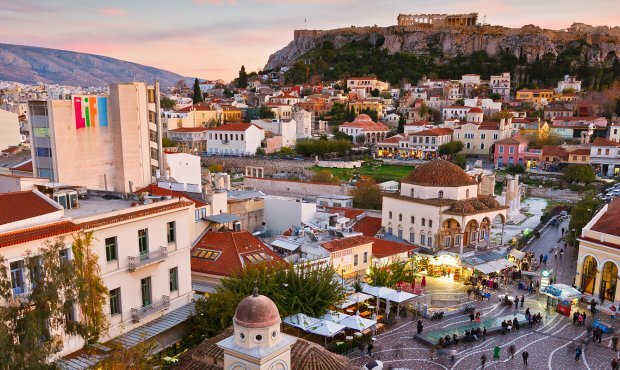 My recipe for happiness is very simple: we should move all the EU institutions to Athens. The construction work and the rising demand for flats, hotels and restaurants would kick off the economic boom and they would contribute to its sustainability in the long term. We, Eurobubble workers would also be happy to have tons of hours of sunshine and a beautiful seaside in a half-an-hour reach from the office. I can only see one counter-argument for my hilarious scenario: we wouldn’t be able to complain about Brussels weather for twenty minutes as a small talk with new acquaintances. Apart from daydreaming, this week has really seen a historic Eurozone meeting in Luxemburg. As French finance minister Bruno Le Maire pointed out very optimistically, “the Greek debt problem is behind us”. However, he is only partially right. Because even if the country managed to secure its last 15 billion payment, got some moderate debt relief and therefore can officially quit the bailout program in August, the debt problem has remained with us. The EU is still not able to tackle major asymmetric economic shocks, like the bloc wasn’t able to do so ten years ago at the beginning of the crisis or in the early 1990s, at the creation of the Economic and Monetary Union. Without denying the faults of the Greek governments in power before the crisis, the Mediterranean country has always been treated during the crisis management as a black sheep. Toying with the idea of Grexit was a convenient way to gain votes from angry taxpayers in Germany as well as to build some sense of unity in the EU, like ECB President Mario Draghi did with his famous “whatever it takes” declaration. We will see if Greece is able to fit the public debt and GDP growth criteria in the upcoming years. But it is obvious that the country with a population of 10 million people and a moderate economy is not the real problem. The real problem lays behind the absence of any effective tool to help out a country in economic crisis. French President Emmanuel Macron won elections with the promise of reforming the eurozone, but it turned out to be very soon that his audacious dreams are a bit similar to mine for moving the institutions to Athens. In fact, nothing happened last year due to the difficulties of forming a German government. Now, with the frightening CDU-CSU split over migration, the already moderate plans suggested by Chancellor Angela Merkel this week seem to go in vain. The upcoming European Council’s summit might be one of the hardest ever. Still, we can hope that if the Eurozone finance ministers could have ended a ten-year-long story this week, the heads of governments and states will be able to finish the other never-ending story of the monetary union next week. The trade war is here. The EU reacted and Trump’s tariffs on steel and aluminum have found their match. The European Commission has officially proposed to impose tariffs on a series of US products, a few of which are symbolically, quintessentially American such as Harley-Davidson or Levi’s blue-jeans. The list aims to rebalance a loss for European companies, which the EU estimates in around 6,4 billion thanks to this tariffs, but should amount to “only” 2,8 billion. The remaining 3,6 billion will be phased-in within three years or after a positive evaluation from the WTO. Even the UK has abandoned the cautious “special relationship” position and sided with the EU on the issue, with European Commission vice-president Maroš Šefčovič stating that the decision was taken with the full support of the 28 member states: “We have had the full support from all the member states on these issues which we are about to propose now. 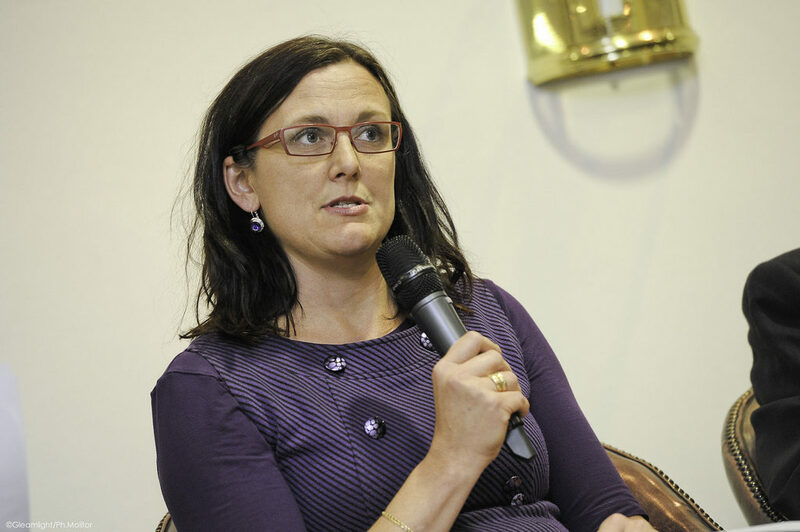 All the member states understand that if they want to defend rules and trade we have to play by the book. It is difficult to assess what President Trump will decide to do next but this is our response”. This, as well as the Iran deal withdrawal, will be at the center of “very frank chats” between the world leaders and President Donald Trump. In particular, UK, France, and Germany have signed a joint letter demanding European companies to be spared by secondary sanctions on Teheran: “Building on our discussions at several occasions, as close allies we expect that the extraterritorial effects of US secondary sanctions will not be enforced on EU entities and individuals, and the United States will thus respect our political decision and the good faith of economic operators within EU legal territory”. All of this and more will be discussed at the imminent G7 but, at the moment, it seems like this is shaping up to be an out-of-the-ordinary meeting. Like with everything else, Trump is disrupting the norms of the high-level meeting on Saturday morning, and announced that he will be leaving in the middle of it to fly to Singapore for his meeting with North Korean Supreme Leader Kim-Jong-Un. Critics have pointed out that this sounds more like an excuse to leave early (right before the talks on climate) than to prepare for the, albeit historical, meeting with the Korean dictator. In fact, it’s an open secret that Trump doesn’t like these meetings because he believes he does not have the upper hand in the discussion. In a bilateral get-together, he can push the US economic weight much more than on the diluted G7 and has even ventilated the hypothesis of skipping it altogether and sending Vice-President Mike Pence instead. French President Emmanuel Macron and Canadian Prime Minister Justin Trudeau have been vocal about the disrupt of the tariffs and on how the rest of the group will move forward without the US if needed. Trump has answered that the US trade deficit with the EU and the tariffs on US products are damaging American workers and that he’s looking forward to talking about this. 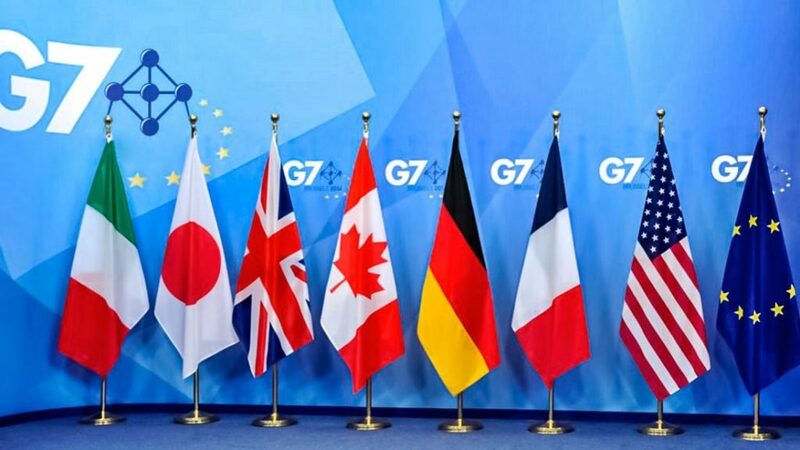 Long gone are the days of the “Bromance” between Emmanuel and Donald and it looks like the future of the G7, without the presence of the former “eighth” member Russia, is shaping up to be a trilateral meeting between the EU and its partners, Japan and Canada. 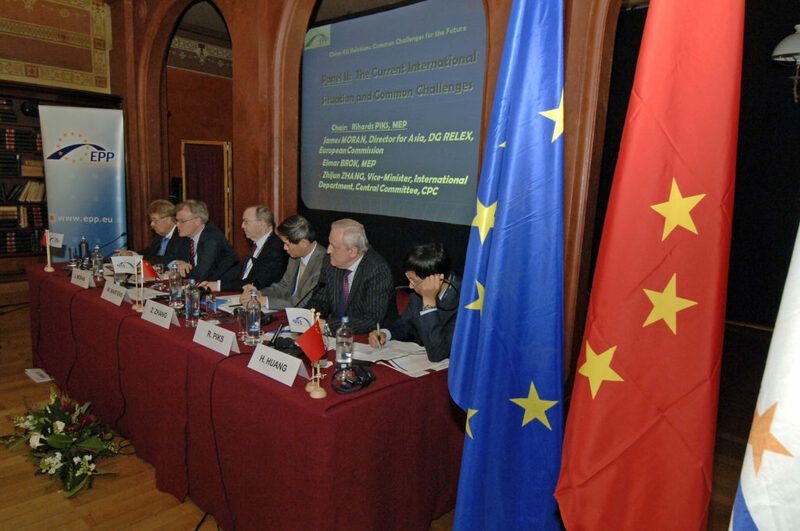 Without the likes of global players, such as China, Russia, India, and without the full commitment of the United States, it is quickly becoming an echo-chamber of the EU positions and a good metaphor for the isolation of the European “worldview”. 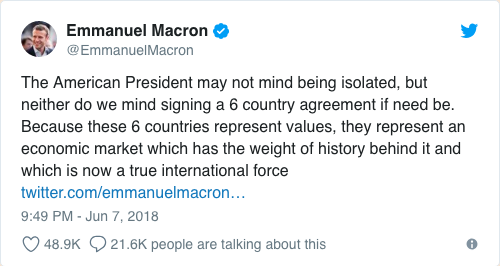 In the end, if they do go ahead and get a six-country agreement like Macron prospected, what will it be its weight? What is the point of speaking with one voice, if you are whispering or, worse, if nobody else is listening?